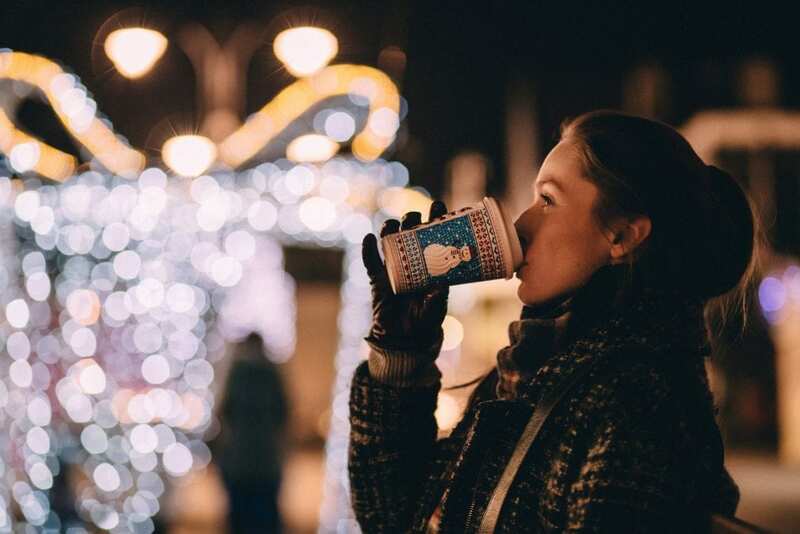 December in St Ives is full of festivities every year, and Christmas in St Ives 2018 is no different. From local Christmas markets, live music, the St Ives Christmas light switch-on, to Santa Claus himself making an appearance at high tide. St Ives offers a Christmas for everyone. St Ives officially kicks off Christmas on the 1st December at 6 pm with an energetic Lantern Parade. It’s hard not to feel in the Christmas spirit with an entire town singing and dancing along with the Celtic Samba Band whilst parading their way to Royal Square. The Christmas light countdown begins and as soon as the cold night sky is lit with a warm sparkling glow, you know it’s Christmas in St Ives. 5-8pm Gabriel Street. Chapel Street. Tregenna Hill, Tregenna Place, High Street, Back Street, Market Place, Lifeboat Hill, Back Lane, Fore Street. After great success last year, the St Ives Etsy Christmas fair will be taking place in The Guildhall, Street an Pol over three days with 35+ exhibitions to see. Go along to interact with the many artists and makers of Cornwall who are inspired by the Cornish landscape and pick up some truly original gifts. Entry is free, along with live music, a festive cafe and, of course, a very Christmassy atmosphere. Every Thursday from 9.30 am – 2 pm in The Guildhall, Street an Pol, St Ives, the town centre is always bustling with excitement. And in December, it is no different. 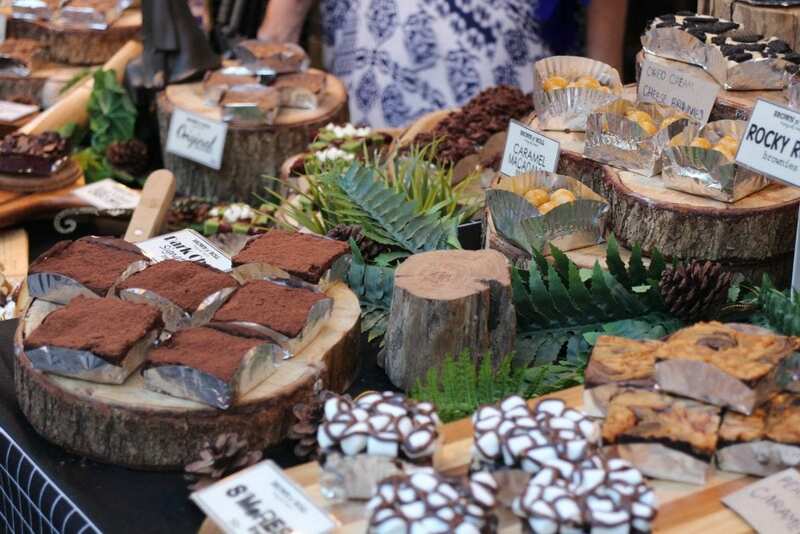 With the inviting smell of homemade bread and pastries wafting through the streets, you can find local produce being sold on a variety of stalls. Freshly caught fish, homemade jams, olives, fruit and veg, pies, cheese… the delicious list goes on. For a truly local, sustainable shopping experience at Christmas time, head down to the stalls and see what Cornish delicacies land in your basket. Santa normally arrives on a sleigh, but not in St Ives. Father Christmas lets his reindeers rest up for a night and comes into St Ives harbour riding the high-tide with the RNLI. 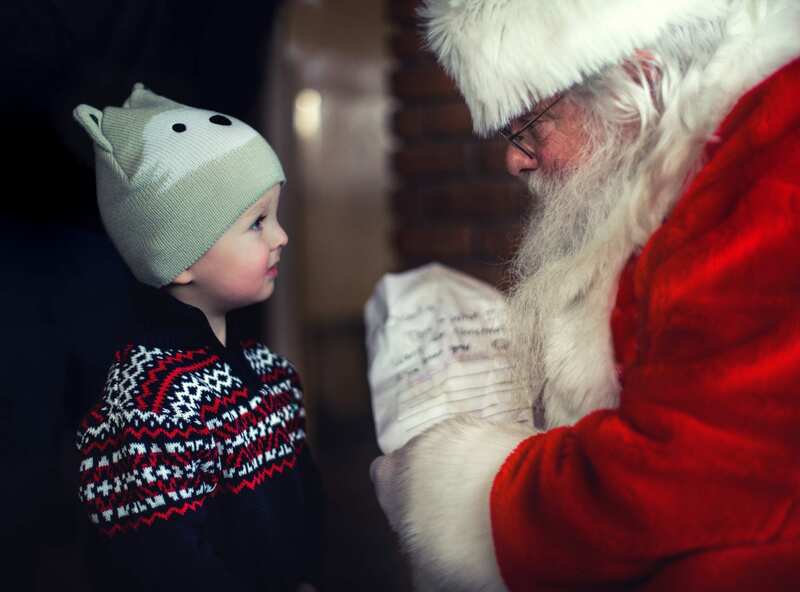 On the 7th December, Santa Claus will drive around the harbour and wave hello to all the waiting children before descending on the Wharf where the Mayor will greet him and the Phoenix Choir will sing Christmas carols. A wonderfully festive evening. Fancy something a little more local? The Castle Inn is a traditional ‘proper’ pub in St Ives that host live acoustic lunchtime sessions during your Sunday roast as well as evening performances on Friday and Saturday throughout December. What’s more, they have a quiz every Monday night and invite everyone to participate in open mic night for those Christmas hits every Sunday evening. Instagram – take a photo of the window you want to vote for and hashtag it with #SIDwindow2018 and the shop name. (It can only be counted if you have a public account). The closing date for votes is midnight on Monday 31 December 2018. Post a picture on St Ives in December Facebook page comments section with the shop name. One vote per person. The closing date for votes is midnight on Monday 31 December 2018. The culmination of the Christmas season, this is the biggest, most dazzling party in the St Ives annual calendar. The entire town takes on a carnival ambience and folk come from far and wide to join the fancy dress celebrations. Streets are packed with revellers sporting crazy costumes, live music spills out of harbourside venues and the skies over the ocean light up with fireworks at midnight. To find out about all the events happening in St Ives over Christmas, see www.stivesindecember.co.uk and www.stives-cornwall.co.uk. Carbis Bay Holidays offer a range of self-catering holiday cottages perfect for a Christmas holiday in St Ives. Whether you’re looking for a cosy cottage with a wood burner or a family pile footsteps from the sea, check out our luxury holiday accommodation in and around St Ives. NOTE: this article will be reviewed and updated closer to Christmas to ensure that all dates and events are running. 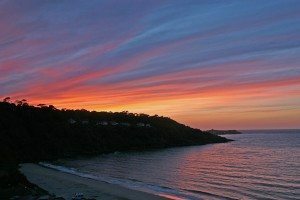 Carbis Bay makes an especially captivating sunset destination, providing the perfectly sheltered spot to admire the sun as it sinks beneath the ocean. Imagine your day on the beach morphing into night as you bask in the sun’s final rays and wallow in the sea’s warm shallows for an incredibly fitting finale. Venture into St Ives in the evening, where the Island and Porthmeor Beach take advantage of their north Atlantic reach and are renowned for treating visitors to some truly spellbinding scenes. Whether you wish to dine in a café or restaurant or enjoy an al fresco glass of wine, your day will end with dazzling, show-stopping effect. 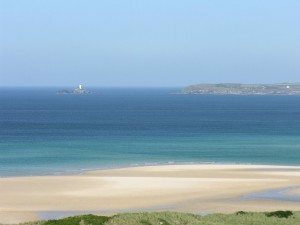 The northern stretch of coastline along St Ives Bay from Hayle Towans to Godrevy offers miles of unspoiled beaches from which to experience nightfall, providing picture-postcard views and rainbow coloured skies that smack of pure romance. For one of the most memorable and best beach sunsets in Cornwall, the Land’s End area delivers a heady dose of high drama. Being at the far western point of the country makes it one of the best vantage points for viewing jaw-dropping sunsets scattered over uninterrupted Atlantic Ocean. You may also be lucky to see the sub-tropical Isles of Scilly dotted in the distance. Cape Cornwall, Sennen and Gwenver beaches are particular sunset hot spots, providing a plethora of eye-catching features and gazing opportunities such as the twin-peaks of the Brisons rocks to the pulsating Longships Lighthouse. 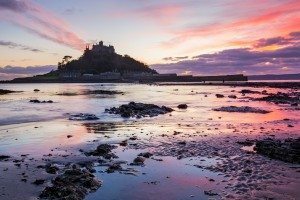 The southern coast proffers more subtle skies, as the sun escapes westward over the land, with the early-disappearing soft light pouring peach and rose tones over Mounts Bay. 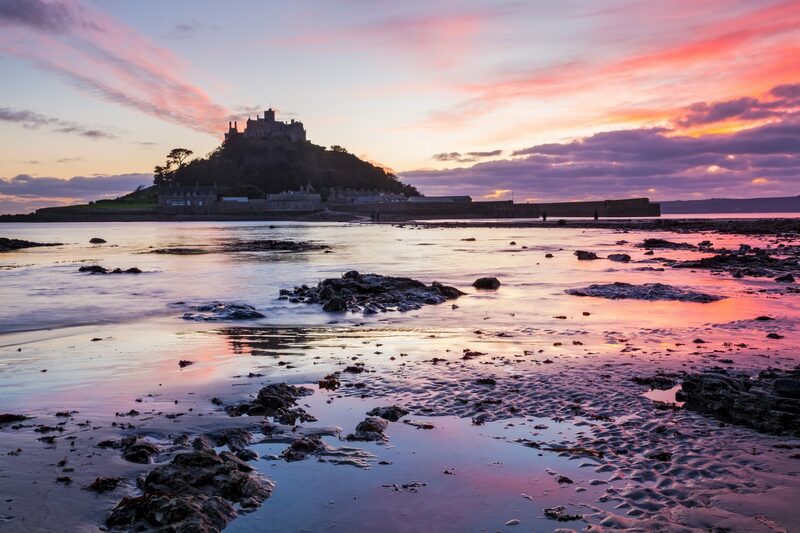 Marazion Beach grants eye-catching views of the bay stretching from the south-jutting Lizard to the striking silhouette of St Michael’s Mount and outlying fishing village of Mousehole. 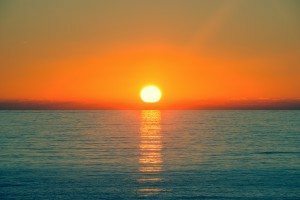 For something decidedly different and utterly unforgettable, consider taking a boat tour or twilight sail from Carbis Bay in order to literally transport yourself into the sunset. Whether you sit alongside or immerse yourself into the ocean with a swim, surf, stand up paddleboard or sail; relish the raw magic of dusk before the arrival of yet another promising dawn. 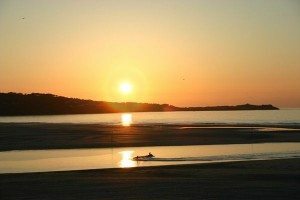 Carbis Bay Holidays offers a wide range of self catering holiday homes in the St Ives area that make the ideal base for experiencing the dramatic sunsets of West Cornwall. If you’re considering a couple’s break or honeymoon, our wide portfolio of properties will help ensure the perfectly romantic stay. Visitors to Carbis Bay and St Ives follow a fascinating tradition of travel in and around Cornwall. It may be tricky to imagine the area untouched by tourism, but it wasn’t until the inception of the St Ives rail link when Carbis Bay became a bone fide beach resort. It completely transformed access to the area, allowing the masses to migrate to the famous seaside town that today sees visitors flock in their droves to sample its sun-baked shores. Other historical changes occurred courtesy of the railway. Originally named Carbis Valley, it was the Great Western Railway that coined its current name of Carbis Bay when the St Erth to St Ives branch line was opened in 1877. The same year saw the first lodging house built by Mr and Mrs Hendra, whose original accommodation, Maria Villa became Hendra’s Hotel and has subsequently been developed into the five starred fabulousness that is, The Sands Apartments. To satisfy the rapid expansion of the tourism industry, an increase in the number of hotels and guesthouses culminated in a higher calibre of accommodation, with the area becoming synonymous with quality and luxury. 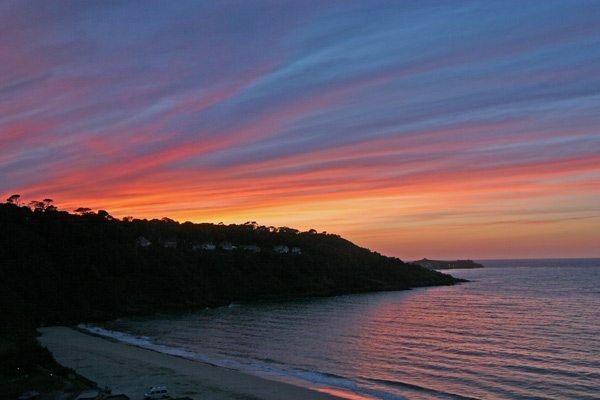 In short, Carbis Bay became one of the most desirable holiday destinations in Cornwall and beyond. However you arrive into Carbis Bay today, it’s still well worth taking a ride along the train line through the valley, which offers some of the most spectacular, aerial-like views over St Ives Bay and gives an inspired taste of what the first tourists to Carbis Bay experienced over a century ago. 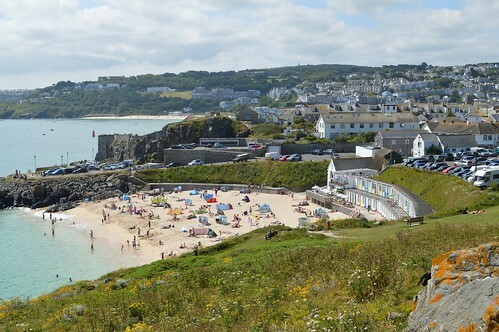 If you’re keen to learn more about the history of Carbis Bay and St Ives, a network of guided tours showcase the towns’ must-see sights. In addition, the Archive Centre and St Ives Museum contain various information and artefacts, including the museum’s Model Boats, Boat Building, Pilchard Curing Cellar, Mining and Hain Steamship Company collections. 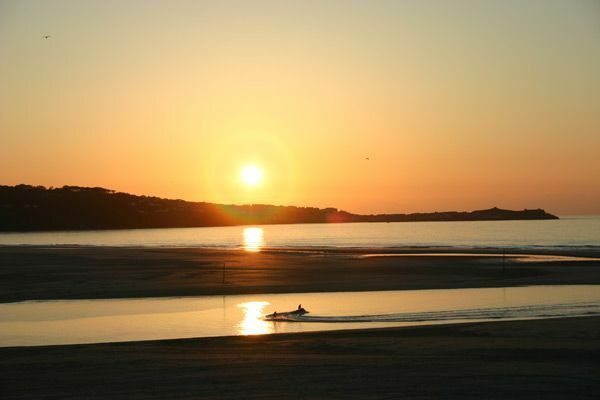 Carbis Bay Holidays have a range of properties throughout the area, each with its own unique feel, look and history. From Barbara Hepworth’s old house, Chy an Kerris to former St Ives School of Artists residency, Tremorna and Victorian villa, Barn-a-Woon – pick a property to suit your whim and to enjoy your own enviable slice of history. Nothing spells out romance like the clinking of champagne glasses as you watch the sun plonk into the ocean. There are plenty of seafront bars in St Ives, but our favourite for bubbles at sunset is the Porthmeor Beach Café. Toast summer evenings with Cornish, Italian or French fizz, snuggle up under a blanket on the beachside terrace and graze your way through a tantalising tapas menu. Drink in the sunset at Porthmeor Beach Cafe. Park up at the beautiful St Uny Church in Lelant and mosey down to the golden sands of Porthkidney Beach. Tucked into the nook of St Ives Bay, here you can scour the shoreline for beach treasure, dip your toes in the ocean and climb up to Hawkes Point for eye-popping views. Either follow the coast path on to arty St Ives, or loop back through the dunes to your starting point. Walk hand in hand on Porthkidney beach. Pack a hamper with artisan Cornish goodies from The Allotment Deli in St Ives, and head to Mexico’s Beach for a picnic. Sandwiched between Hayle Rivermouth and Gwithian, this much quieter stretch of sand deters crowds because access is via towering sand dunes. If you’re prepared to carry a little extra on the calf-busting climb back to the car park, why not bring a barbecue for a sizzling beach date? Just because you’re on a romantic holiday it doesn’t mean you want to sit around holding hands all day long. Castaway together on a kayaking trip around St Ives Bay, try the latest craze of stand-up paddle boarding, or spot marine life on board a Hawaiian canoe tour. 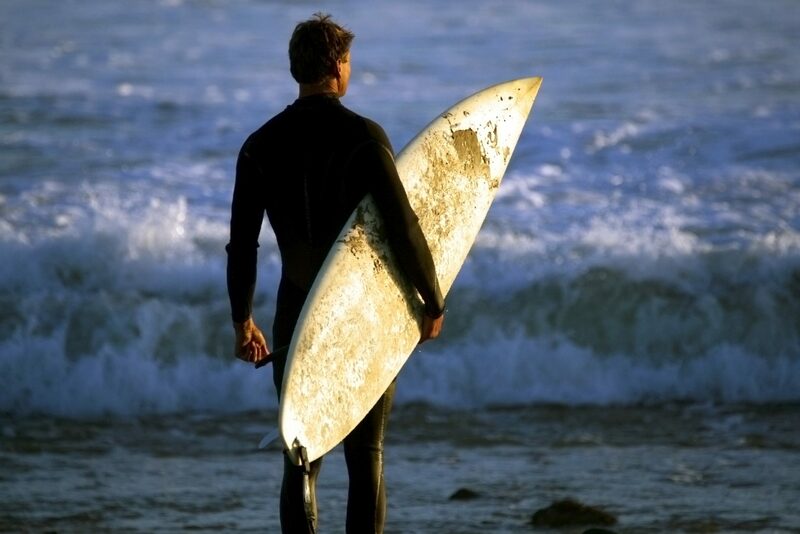 The Ocean Sport Centre at Carbis Bay will help you fulfil all your water-bound passions. Strike out on a two-pub loop from Zennor’s cosy Tinners Arms (much-loved by DH Lawrence), stomping along two miles of staggering coastline lapped by crystal waters into which a legendary mermaid is said to have lured a local chorister. Turn inland at the rugged promontory of The Gurnard’s Head, stopping for a slap-up lunch in the stylish hostelry of the same name, before taking a shortcut back across the fields to your starting point. Take a romantic wild walk to Gurnard’s Head. Stroll through subtropical gardens littered with monumental bronze, stone and wood sculptures inspired by the coastal environment around St Ives. Barbara Hepworth is one of Cornwall’s most eminent artists, and a spin around her studio and sculpture gardens invites you to experience her passion for this stunning landscape. Get joint entry into the Barbara Hepworth Museum and the Tate St Ives, and complete your art tour with a tipple at the sea-view café on the top floor of the Tate. Explore Barbara Hepworth’s sculpture garden and studio. Looking for an intimate, romantic spot dinner venue and a table for two? Bag a window table at the Porthgwidden Beach Café, nestled beside a white-sand cove on St Ives’ ‘Island’. The lesser-known little sister of the famous Porthminster Café, here you’ll be seduced by sumptuous Med-inspired dishes (using the best Cornish produce, of course), mesmerising sea views and the soundtrack of the ocean. Take a romantic break in Cornwall, staying in one of Carbis Bays Holidays’ cottages for couples in the St Ives area. We’ve got boutique boltholes, honeymoon hideaways and little love nests to choose from. 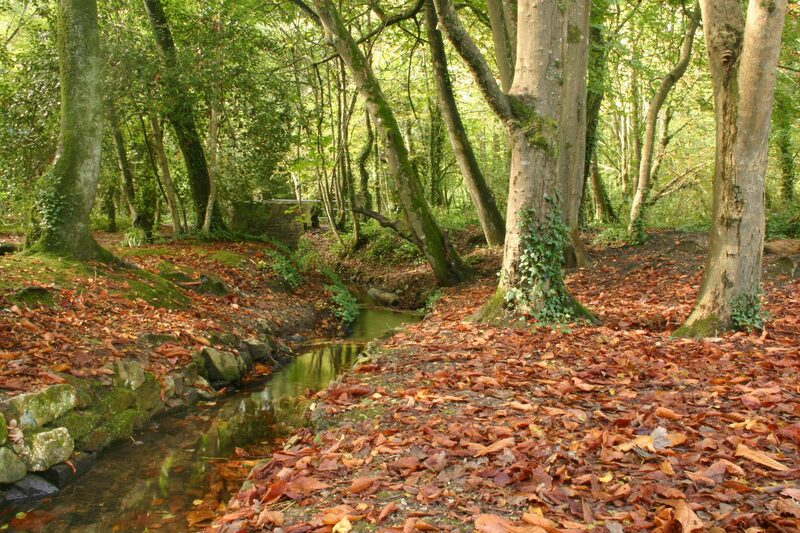 There are several nature trails, all based within a twenty minute drive of St Ives. Baker’s Pit (old china clay works, heathland, wet willow woodland, scrub & grassland), near Nancledra. Tehidy Woods (woodland & lakes), near Portreath. Upton Towans (sand dune & grassland), Hayle. 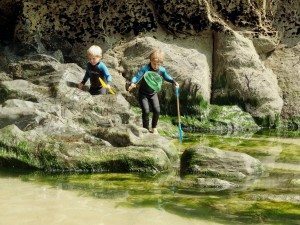 A good majority of local beaches have good rock pools, but here are our personal favourites. Marine Discovery offer an exhilarating wildlife watching boat trip from Penzance Harbour, aboard an exciting sailing catamaran. Search for seals, seabirds, dolphins, porpoises, basking sharks and more along the stunning Cornish coastline. Elemental Tours provide expertly guided, marine wildlife, ocean & coastal cruises on a 12 seater R.I.B. around the spectacular Land’s End and Lizard Peninsulas. Also there are many small group, safari- style, tours and walks, with local guides where you can explore wildlife, flowers, ancient sites, folklore, mining history and geology, all set in and around the stunning granite cliffs and moorlands of West Penwith. Where is your favourite place to enjoy wildlife activities in Cornwall? Take the train into St Ives and disembark right beside the perfect crescent of white sand that is Porthminster beach. Build sandcastles, make footprints along the shoreline and dip your toes in calm, clear waters. Ideal for families, Porthminster boasts excellent facilities including beach huts for hire, a beach kiosk and café, toilets and a putting green. There is also the eminent Porthminster Café serving world-class food bang-on-the-beach, and it’s a short stroll across the pearly sands to reach the hub of town. No dogs between Easter and October. Backed by chic boutiques, art galleries, beach bars, arcades and gourmet eateries, the tidal, sandy-bottomed harbour beach is a stunning sun trap in the heart of town. Tuck into pasties, fish and chips and ice cream with your toes in the sand, and watch local fishing boats landing fresh seafood ready to be flipped into the frying pans of local restaurants. Just watch out for sea gulls swooping down to share your picnic! Dogs permitted only between 7pm and 8am during summer months. Our favourite of St Ives’ enviable necklace of beaches, Porthgwidden is tucked into the nook of The Island, gazing across the bay towards Godrevy Lighthouse. This idyllic sandy cove is the perfect place for swimming, launching a kayak, basking in the morning sunshine and lounging around in one of the beach huts for hire. Another spot that beckons families, not only is there loos and a snack kiosk, you can also keep an eye on the kids building sandcastles from the terrace of the Porthgwidden Café – one of St Ives’ foodie hotspots. More exposed to the Atlantic swell, Porthmeor is where the surfers flock to ride peeling waves. Learn from the experts at St Ives Surf School and hire any equipment you need, or simply rent a deck chair and watch friends and family hit the waves from your front row pew. As well as luring surfers and sunbathers, Porthmeor draws the arty crowds from the beachside Tate St Ives; after all, with blood-red sunsets, rich coastal hues and such mesmerising scenery, it’s no surprise that world-class artists have been coming here for many years. Soak up the scenery and watch the sunset over tapas and delectable local cuisine at the Porthmeor Beach Café. Facilities include toilets and beach huts. No dogs between Easter and October. The next stop along the branch line from St Ives, or a short stroll along the South West Coast Path, Carbis Bay’s sweeping sands beckon families seeking safe bathing, Blue Flag water quality, and bucket and spade territory. Beachside facilities include parking, toilets and a café, making this an ideal place to visit with young children. If you’re looking for a dash of ocean adventure, you can castaway on a kayak, SUP or Hawaiian canoe and explore the stunning coastline or, if you fancy swanky seaside dining or a sunset cocktail simply retreat to The Beach Club or chill out on the heated deck at The Shack. Alternatively, take a stroll over Hawke’s Point to neighbouring Porthkidney Sands, or follow the coast path back into the hub of St Ives. Dogs permitted from 5am–8am during the summer months. These two small, tidal coves are the only beaches in St Ives that allow unrestricted access to dogs year-round. Bamaluz is located between the Harbour and Porthgwidden (in front of the St Ives Museum), and Lambeth Walk is located behind the Lifeboat station. At low tide Lambeth Walk extends all the way to the lighthouse at the end of Smeaton’s Pier, except for the main harbour area during the restricted daytime hours. St Ives’ stunning beaches are just footsteps Carbis Bays Holidays’ luxury holiday cottages. Bag a boutique bolthole beside the pearly sands of Porthminster Beach or perhaps a chic self-catering cottage overlooking Carbis Bay. If you wish to explore the coast further afield, check out our recommendations for secret beaches and coves, or discover even more dog friendly beaches in Cornwall. Just half a mile to the east of Carbis Bay, tucked away from the arty hub of St Ives, awaits the quiet, rugged beauty of Hawkes Point. Here you can pad barefoot along Porthkidney Sands, catch perfect little waves and climb the miners’ steps etched into the cliffs. When you’re staying in and around Carbis Bay, it’s only natural to be lured towards the tourist hotspot of St Ives. However, head in the opposite direction – towards the headland at the eastern end of Carbis Bay – and within 10 minutes you’ll be greeted by the wilder, more tranquil beauty of Hawke’s Point and Porthkidney Sands. From the South West Coast Path the view over Porthkidney Sands and a necklace of beaches stretching towards Godrevy Lighthouse, is one that many artists have captured on canvas. One of the most popular artists of the area is John Miller, whose paintings of this scenery have become famous worldwide. It’s thought that Hawke’s Point may have got its name from a Mr Hawke, a smallholder who lived here and used to collect flotsam and jetsam from the beach. You can still climb down the old miners’ steps he used at the southern end of the beach, that were carved in the 19th century when a small copper and tin mine was in operation here. 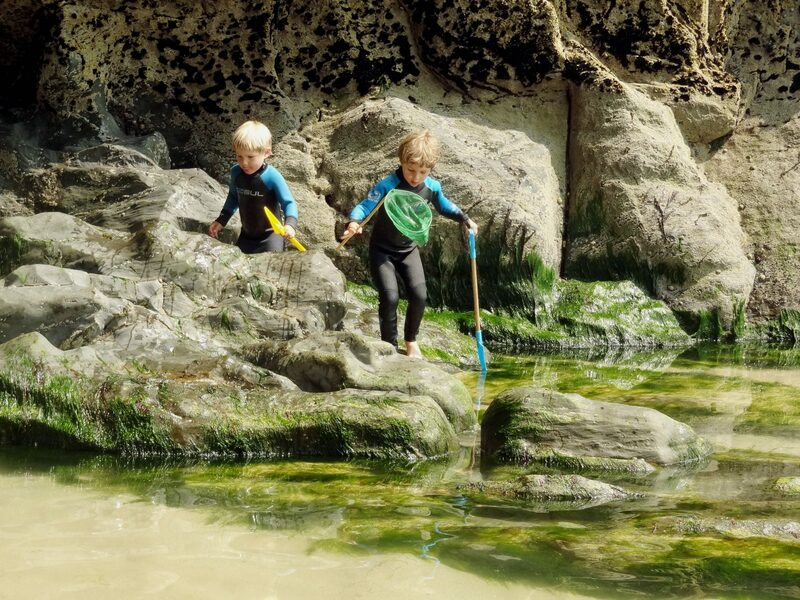 The steep cliff stairway isn’t the only way to access the mile-long beach: slide down marram-topped dunes from the coast path, follow a short track from St Uny Church in Lelant, or – on very low tides – simply pad around the foot of the cliffs from Carbis Bay. 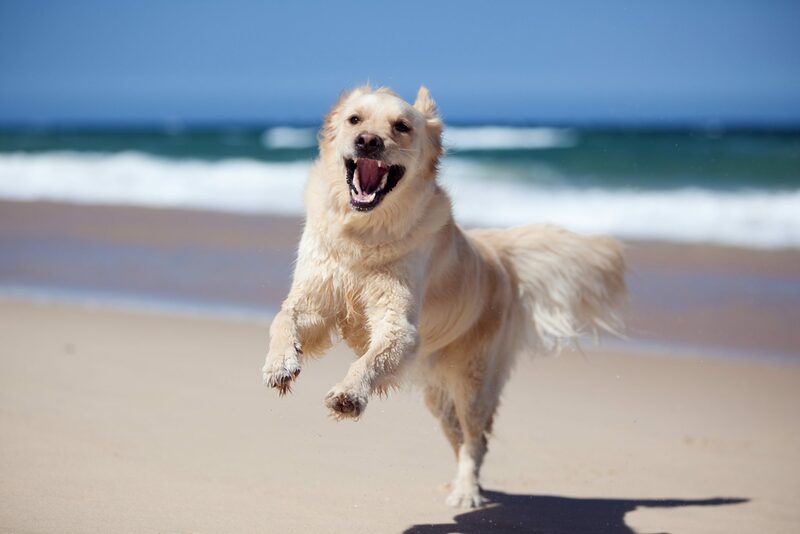 Dubbed ‘Happy Dog Beach’ by the locals, the crowd-free Porthkidney Sands is indeed where hounds can frolic year-round – unlike on many of St Ives’ busier beaches where dogs are banned during peak season. It’s not just walkers and their four-legged friends that enjoy the lack of crowds; surfers come here as well, to catch perfect little peelers that form in the shelter of the cliffs. If you don’t fancy hitting the waves, you’ll no doubt be tempted to dip your toes in the emerald sea, look for unusual for shells or even collect driftwood after a winter storm. Originally called ‘Porth Kinnis’, meaning ‘firewood beach’, its name suggests that Porthkidney was historically a haunt of wreckers long before Mr Hawke’s days, and it’s still a good spot for combing the shoreline to this day. Once you reach the banks of Hayle estuary the beach peters out and the calmer waters attract an abundance of birdlife. Follow the footpath up to St Uny Church (past the oldest links course in the UK), and you can carry on along the coast path that skirts the estuary, or pick up the St Michael’s Way – an ancient Pilgrimage route to Mount’s Bay. However, if you’d prefer to get back to the art, food and culture of St Ives, it’s only a 3.5-mile walk back along the South West Coast Path. Or you can take the easy route on the coastal railway from Lelant Saltings, soaking up the views that inspired John Miller’s artwork from your window seat. Carbis Bay Holidays’ Sea Urchin Apartments boast immense views of Porthkidney Sands and are footsteps from the South West Coast Path at Hawkes Point. There are also wide selection of beautiful dog friendly holiday cottages located nearby.